Smitten Design: Nursery Reveal: It is Finished. Nursery Reveal: It is Finished. Strap in folks, I do not know how to narrow down photos so I'm going to give you more than you are interested in viewing. I always think you need to see a before so you can appreciate the after. Reid's room was previously used as as an "office". It really gathered mail and when our guest room was full, we would set up an air mattress in there. Over the years, it just gathered junk and I always kept the door closed. To back track, if we were going to have a girl, I knew exactly what I was going to do in this space. I even bought wallpaper from Anthro in Chicago for 75% off and toted it home with me. Unfortunately, I returned it and it is no longer on sale. I know one day I am going to wish I kept it in case we have a girl. When we found out we were having a boy and I needed a "jumping off point" [ that sounds so HGTV, and I don't like it]. I found gingham fabric for curtains at a wonderful price and knew I could build a nursery around the fabric. I wanted to stay clear of themes and make his space something he could grow into, and not a room I would have to redecorate in two years. I also wanted it to be masculine and not baby-ish. We added paneling to the walls. I looked at shiplap but we ended up using 1" x 8" boards with a tiny gap in between. Now I am finally finished. I imagine I am going to be spending most of my time in this little rocker in the corner. I found it at a consignment store for $40 and had a co-worker [who makes wedding dresses and is meticulous at everything she does], make a slipcover for me. She said I was an idiot for picking a white, and I think at least I can bleach it, and if bleach doesn't work, I can always dye it. The garden stool is from my grandmother, Nanu. It's been in a corner on our porch for years, and I'm glad a little part of her is in this room. I really like a fan in a bedroom, however I don't like them aesthetically. I wanted a chandelier, but I also wanted it to be masculine. If this looks like Serena and Lily's bird's nest chandelier, you win a prize. I scoured the Internet looking for a large woven wastebasket that I could retrofit into a chandelier. I could not find one without handles or the size I wanted so I ended up finding a vendor on etsy, leather by Mike, who makes leather baskets. We corresponded a bit and he was up for the task of creating this chandelier. It smells so wonderful and at night it casts the prettiest shadows. I think Reid will enjoy it. I had my cabinet guy replace three large drawers that were made from plywood [our house was built in 1941] to five drawers on a track/glider. This was probably the best purchase I made for the entire room. I told Tony my profanity will drastically decrease with this addition. I made a bulletin board for Reid. As we get to know him we will customize his room with pictures, and I wanted a place for them. I added the bows as an after thought and obviously ran out of steam with their unfinished edges and all, but at this point I just don't care! I think this will be how Reid views the room for a while. I debated painting the ceiling but I kinda said, enough is enough. oh my gosh!!! simply AMAZING! JUST BEYOND! ADORE, LOVE... CRAZY INSANE GORGEOUS! Great job Ash! I know you are just loving having all the finishing touches in place! Ashley! It looks so freaking good ! Love all of it! You did an amazing job!!! i love it all! you're going to decorate for me one day. This is the most beautiful little boy's bedroom I have ever seen! You are so very talented and blessed with a real gift! Every single detail is just so special. this is beyond amazing!!!!! reid will have such a warm welcome!! love, love, love. all of it! Great Job! And perfect timing :) I can't wait to see his sweet face in there!!!! Ridiculously great looking!! He's going to LOVE his room and the painting of his doggie- perfect fit :) Good luck this week!!! ash, there are no words for how handsome/fabulous/gorgeous that room is. no words! i'm drooling. the only thing missing is your little pumpkin :) and you're not helping my baby fever. Does Karen paint dogs for out of towners? I would be interested! 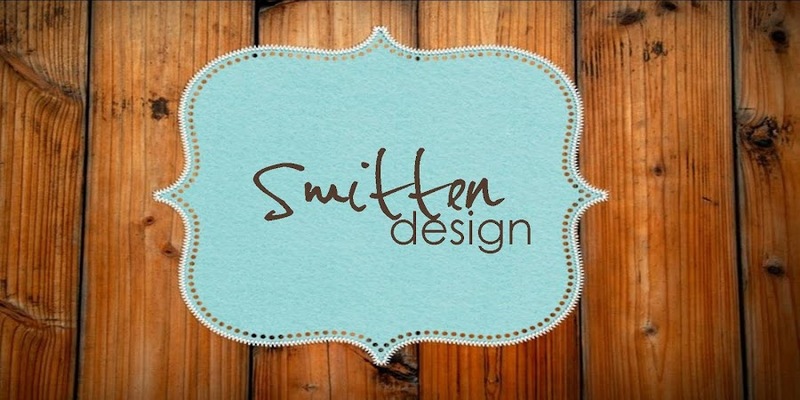 I am totally and completely "smitten" with your nursery. It is absolutely adorable. Love that you added the paneling and the light fixture...genius!! oh my gosh, it is perfect Ash! I looveeeee the finished room! It look amazing!!! He is going to love coming home to that! It looks AMAZING! I love that buffet! the nursery looks so fabulously handsome! congratulations to you and tony and I know baby reid will enjoy his new baby digs! It all looks gorgeous! Love every detail! The walls, the pendant lamp, the checked ties to hold the bumper in place...the painting...very very pretty! I've been reading blogs for several years now & have seen a lot of new nurseries. But yours is the the first on that actually made me gasp! It's stunning!!! I'm sorry...I forgot to mention how adorable Reid is. Congratulations! I want this room!!! How perfect. This is seriously the greates use of ginham i have ever seen. I was formerly not a fan, and I LOVE THIS. Excellent makeover, amazing walls, and effort! Best wishes! love your nursery! it looks amazing and love the chandelier! I hope you mind that I am featuring your nursery on my blog today! I just had to share it! Such a beautiful nursery, it has so much character! Hopefully my lil' mans turns out like that! Oh wow!! I am not even ready or thinking about babies yet... but when its time for us... you are on my list to contact!!! its gorg!!! I just found out about your blog from Life of Splendor. Wow, what a beautiful nursery! So many great ideas!! Absolutely adorable! I'm 6 months pregnant with our first little boy, so I especially appreciated this post! I'm going for the same effect in our nursery (non-theme, something I don't have to re-do a few years, etc.). You did such a great job and I'll definitely be referring to this for inspiration! Also, where did you get the wicker elephant hamper? Love this nursery...I'm a sucker for gingham! Hi there! Just discovered your blog via Pinterest. Love it and love Reid's nursery! I was hoping you could tell me what color of white paint you used on the plank walls. Thanks so much! Love love your nursery!!! Great job! Just a word of caution on the bookends on the shelf, they contain some nasty stuff, keep away from little ones - we had one explode all through our carpets!